Phytoplankton standing crop and diversity cycle in both Umum Drain and Mex Bay were studied and discussed in relation to the most effective environmental physico-chemical parameters. The bay is affected by huge amounts of brackish waste water discharged from Umum Drain rich in nutrient salts which create dense algal growth. A total number of 162 phytoplankton taxa were recorded and characterised by different ecological affinities. 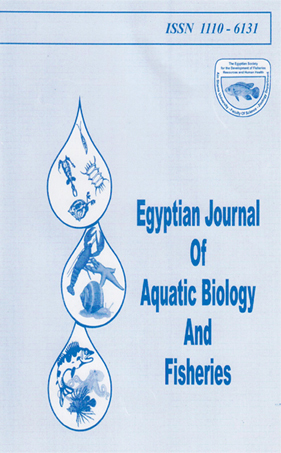 Few species were responsible of the main bulk of the community, namely; Cyclotella meneghiniana, Nitzschia microcephalat Euglene caudate and Kirchneriella hmaris in Umum Drain and Skeletonema costatum, Cyclotella meneghiniana, Asterionellajaponica and Prorocentrum micans in Mex Bay.The phytoplankton standing crop attained an average of 0.71 X 106and 0.94 X 106 units. l_1at the surface water of Umum Drain and Mex Bay respectively. The species diversity in Mex Bay showed irregular pattern ranging from 0.85 to 2.85 nats in the surface and from 0.68 to 3.10 nats in the near bottom layer.